...cards that I've made recently. No reason for these particular cards, just felt like being creative. 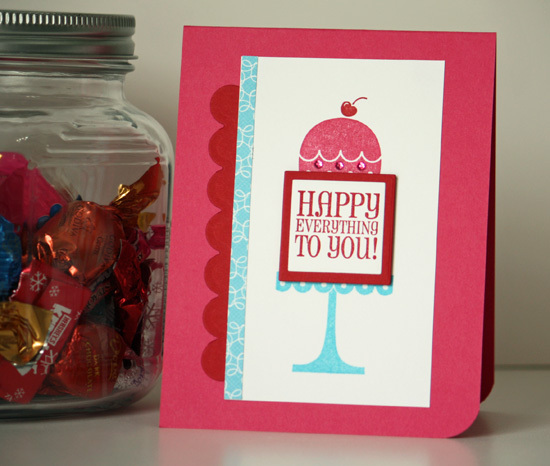 This card was made using some of my favorites by Stampin' Up including Melon Mambo and Real Red cardstock. I also added some jewels and a strip of patterned paper from my scrap stash. Next up is a wedding card I made during to donate to our school's card stash. I was using a stash of scraps and loved how the colors went together. 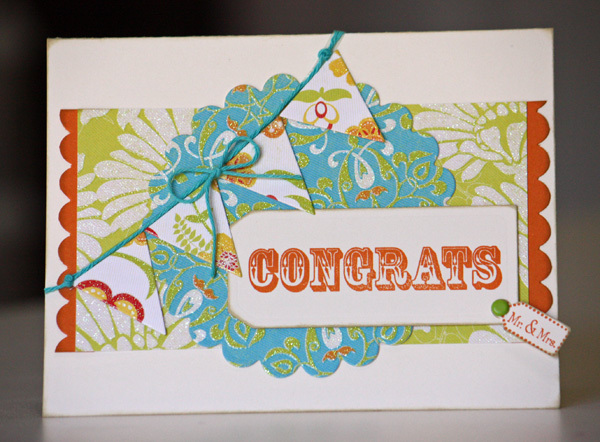 I also added a mixture of Spellbinders dies along with a sentiment stamp from Papertrey and my scalloped edge punch. This one was really out of my norm as far as colors go, but I was pleased with how it turned out. Wow you did an awesome job on these cards! They are so cute! Really like your blog and am glad that I found it!